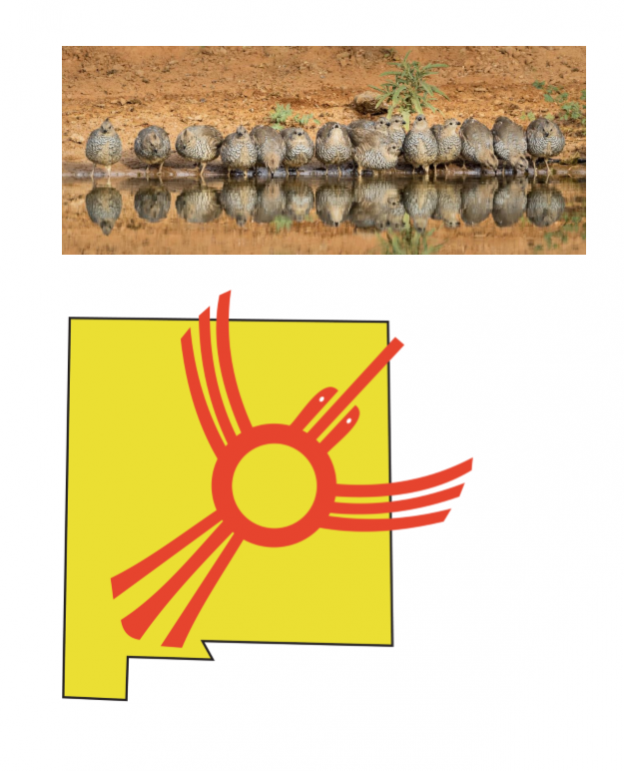 Welcome to the New Mexico Avian Conservation Partners (NMACP) Website. NMACP strives to build a networking forum for government agencies, non-governmental organizations, corporations, and individuals with an interest in collaboration. We hold statewide meetings to prioritize conservation needs, disseminate research results, provide potential funding sources, promote conservation education and outreach programs, as well as conservation information that may be of interest to the bird conservation community. In the late 1980s, there were growing concerns about apparent declines in numbers of migratory birds. These concerns prompted the formation of Partners in Flight. Partners in Flight is a voluntary coalition of federal, state, and local government agencies, conservation organizations, private industry, and the ornithological community dedicated to halting or reversing downward trends in bird populations. Since its inception in 1990, Partners in Flight has helped direct resources to the conservation of non-game landbirds by facilitating and coordinating cooperative efforts in conservation planning, biological research and monitoring, habitat management and restoration, outreach and education. As a state chapter of this larger partnership, New Mexico Partners in Flight (NMPIF) was established in 1995 to promote and enhance conservation and management efforts for New Mexico birds and the habitats on which they depend. In 2007, the effort was renamed New Mexico Avian Conservation Partners to better reflect all avian conservation plans at work in the Western Hemisphere. Key participants in NMACP include Santa Fe County, Audubon New Mexico, Hawks Aloft, Inc, Natural Heritage New Mexico, National Park Service, New Mexico Department of Game and Fish, Playa Lakes Joint Venture, U.S. Fish and Wildlife Service, the U.S. Bureau of Land Management, and the U.S. Forest Service. See our links page for information on these and other partner organizations. Gail Garber – Hawks Aloft, Inc.
NMACP seeks to apply the guiding principles of all North American Bird Conservation efforts at the state level, to address both national and state conservation needs. We identify conservation needs by developing a New Mexico Bird Conservation Plan, based on the best available research and information on our state’s birds. Because we are continuously learning about the status of New Mexico’s birds and refining our recommendations, the Bird Conservation Plan is subject to periodic revisions. The Bird Conservation Plan was recently updated, and we are in the process of incorporating the new information into this website. Photographs and images appearing on this website are courtesy of David Powell, Everett Ogilvie and Hawks Aloft, Inc. This site is under construction. Check back often for updates.